First, as a life-long wrestling fan. I have watched pro wrestling on television and at live events since I was a child. I was particularly a big fan of Chris Benoit. I admired his work ethic and intensity. When the news reported his death, before the rest of the news came out, WWE gave him a hero’s tribute. When the murder-suicide was exposed, WWE announced there would be no further mention of Chris Benoit on any of their programs. And that, as they say, was that. 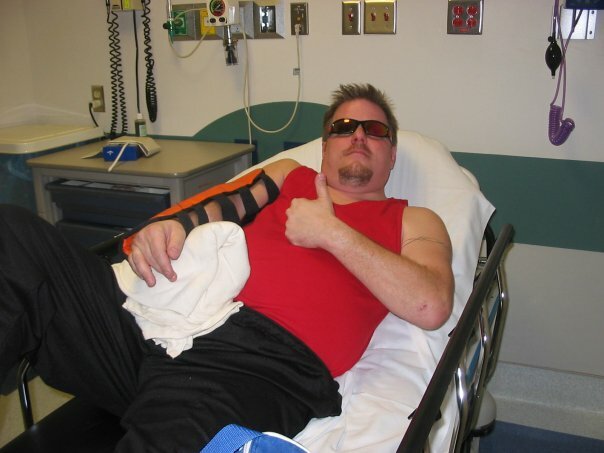 Secondly, it affected me as a wrestler. Although my time in professional wrestling was minuscule, I definitely gained an even deeper perspective into how physical and dangerous wrestling is. In 2005, I took a fall improperly and shattered the radius and ulna in my right forearm, requiring two surgeries to repair. In the hospital when the drugs finally kicked in! Hear me and hear me well! Wrestling is not fake. If you don’t believe me, stand up, sweep your legs out from underneath you, and land on your back without hitting your head. Wrestling hurts. After a day of training, I could hardly walk for a week. It was like being in a car accident every weekend. My chiropractor, pain pills, and muscle relaxers became my best friends. My days in the sport are a highlight in my life journey. I met and worked with some great guys, took a lot of physical punishment, and made some amazing memories. My wrestling name was Todd Matrixx. Don’t bother googling it. I was so small time that you won’t find anything about me. I didn’t do it for fame. I did it because I had an opportunity and I wasn’t getting any younger. I dusted off a boyhood dream and it was magical! Chris Benoit, in my opinion, was one of the toughest guys to ever lace the boots. Just watching one of his matches was exhausting! He took every opponent to their physical and mental limits. He was almost always bleeding from his head or mouth during a match. He put everything he had into every single match without hesitation. He demanded his best of himself as well as his opponents. No wonder he was called the “Rabid Wolverine.” He didn’t stop until the final bell. There has been much speculation about his state of mind when he murdered his wife and son and hung himself. Some were quick to blame steroids, which have been known to make the “juicers” more aggressive. A more unorthodox explanation was that the physicality of his long career gave him literally thousands of concussions. His diving headbutts from the top rope lend credibility to this theory. The scan reported he had the brain of an 87-year-old. He was in his early forties. NFL players have determined the same thing about their own concussions in recent history. The concussions can cause intense mood swings and violent behavior, according to medical studies. There is really no way to be certain what motivated him to do something so horrible. 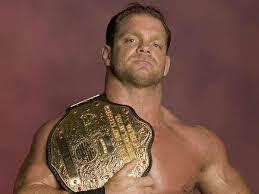 Chris Benoit was quietly cremated by his family and no one knows where they spread his ashes. At the end of the day, we have a murdered family by a professional wrestling superstar, and the inevitable questions about eternal consequences, especially for those who “play God” and take their own lives. For many years, churches have taught that suicide is an automatic ticket to eternal damnation. These are likely the same churches who refuse to allow women to wear pants or make-up, and who hold up “God Hates Fags” placards at funerals for homosexuals. The same churches who have people stand on street corners with signs reading, “Catholicism Is Not Biblical Christianity.” No mercy for suicides. N0 hope. No grace. No forgiveness. Just holy hatred handed down for generations. Well, they would say, Chris Benoit asked for it, didn’t he? He made his own bed, and now he must lie in it! The burden of proof here lies not with those who offer the comfort of grace, but rather those who deny it. The Bible does not condemn suicide. It never has. It never will. What the Bible does offer is forgiveness, mercy, and grace through Jesus Christ who said, “it is finished.” We must reconcile whether “it” was truly finished or not. The “it” is the greatest act of love ever demonstrated on earth by a God who would rather die than live without you. He is a loving Father (Isaiah 64:8; Matthew 6:4, 6:8, 6:26, 7:11, 18:14; John 15:16); She is a nurturing mother (Deuteronomy 32:11-12, 32:18; Isaiah 42:14,49:15, 66:13). Before you fillet me, God is described in scripture as “Spirit (John 4:24);” neither male or female in essence, though God can and does operate as both. When Jesus said, “It is finished,” it applied to Todd Vick, and yes, even to Chris Benoit and his family. What happened to them was a terrible, tragic thing. I’m not trying to minimize the crime; I am rather trying to maximize God’s grace and mercy toward the Benoit family during those three dark days. God has always been, and will always be, gracious, merciful, slow to anger, and abounding in great kindness (Joel 2:13). Furthermore, God relents from doing harm, meaning God chooses not to! God could surely harm all of us. But God’s divine essential proclivities always lean toward redemption, grace and mercy. Always. Now and forever. Chris Benoit, a murderer and self-executioner by suicide, fully redeemed by grace…for no other reason other than God chose to give it. For Benoit, and for all of us. Period. No ifs ands or buts. I read this book in two days. Two days. I simply could not put it down. 197 pages of a heartfelt plea that has been on my heart for many years. Unlike Chris Kratzer, I was scared to write it down. It wasn't my book to write. In Leatherbound Terrorism, Chris Kratzer is a modern day voice of one crying out in the wilderness of white, conservative, Evangelical Christianity, paving the way of the Lord and His grace. I consider Chris a friend and a kindred spirit. For hundred of years, religious legalism has tried to offer the body of Christ all manners of religious tradition, legalism and Bible-thumping, graceless preaching and teaching to solve the problem of sin. Chris pulls no punches in calling out those who have abused the power of the pulpit and politics. He accurately lays out the very things that have rendered the modern church useless and and ineffective. Stop the Pendulum Before I Throw Up! My most dreadful amusement park ride experience came at the hands of "The Pirate." The Pirate is a big boat that swings back and forth like a pendulum. I have only ridden on it once. On that one day I lost about $.87 in change, my Polish Sausage Dog (post digestion), and my wits. I can hang with any roller coaster, but the Pirate got the best of me. My spiritual life can be likened to a pendulum. It swings back and forth, from one extreme to the other. I have been way Baptist or not at all; way charismatic or not at all; I am not sure why I have to be all one way or all the other. I have not yet achieved balance, and I think I know why. I have what I will call, "Spiritual ADHD." Let me explain what I mean. Welcome to the new and improved blog! The Word of Todd is now Victory Concepts. I want to tell you why. When my lifelong chum, Rick, passed away in 2013, I reflected on his legacy for quite awhile. He was an amazing husband, father, and social media consultant. He was all about connection and conversation. I, on the other hand, had been a terrible husband, a substandard father, a lousy friend, and I only used social media to rant. Things were turning around, but it had been a hard road with many burned bridges. I began to look at my own legacy and pondered what I would leave behind for my children and someday my grandchildren. I began asking myself, "What is Todd Vick all about?" Do I have something to say? Would anyone listen if I did? How would I say it best?